KIEV, Ukraine -- Ukraine is in a full-scale financial crisis as the country’s GDP dropped 7.5% and its inflation went up 21% in November, according to central bank Governor Valeriya Hontareva. Hontareva said Ukraine’s banking system is non-functioning and the hryvnia has become the worst (or one of the worst) performing currency worldwide. The hryvnia fell 48% against the dollar this year. According to Hontareva, it is impossible to keep the exchange rate for hryvnia stable. She said, “This is simply an unrealistic task [to maintain exchange rate stability] because it is not even prescribed in any constitution. The exchange rate of our currency relative to our trade partners is a mirror of the state of our economy and our balance of payments. Ukraine is hit by a “full-scale financial crisis. The level of gold and foreign exchange reserves has reached its minimum of $9.9 billion as of early December since 2009,” added Hontareva. Ukraine’s central bank spent $1.3 billion of its reserves in supporting the hryvnia and it will continue to implement measures to limit its decline, said Hontavera. The current economic situation of Ukraine was negatively impacted after the conflict with the eastern separatist and Russia’s takeover of Crimea, according to Hontareva. 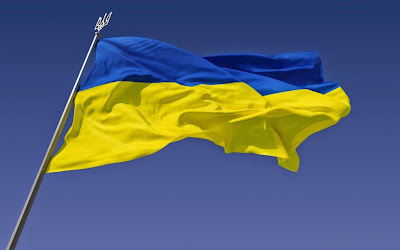 Prime Minister Arseniy Yatsenyuk recently stated that the conflict drained 20% of the economic potential of Ukraine. On the other hand, the United Nations estimated the more than 4,700 people were killed during the fighting. The United States and European Union imposed sanctions against Russia and accused President Vladimir Putin’s administration of supporting the separatists with money, weapons and fighters. Putin denied involvement in the conflict, but he stated that he respected the wishes of the separatists. The lawmakers in Ukraine approved a 2015 budget on Monday. In addition, the lawmakers are taking further initiative to unlock the tranches of the $18 billion bailout from the International Monetary Fund (IMF). Ukraine’s central bank expects to receive three tranches of the rescue package early this year. Ukraine is also trying to expand the rescue package. Prime Minister Yatsenyuk said the country needs at least $10 billion to prevent default. Meanwhile, the European Union estimated that Ukraine needs additional $15 billion to remain financially solvent. On January 8, the IMF mission will return to Kiev and it plans to move expeditiously to continue its discussions with the government to implement a program to stabilize its economy and restore a sustainable growth. As I have stated before, giving (not lending) money to Ukraine at this time is one of the best ïnvestments Europe and Nprth America can make. If Ukraine collapses, and Russia is vastly strengthened as a result, NATO will almost surely find itself spending vast sums in fortifying its eastern borders - especially the Baltic States - and dealing with "green men" throughout eastern and central Europe.